FDA White Oils There are 2 products. 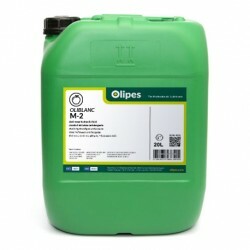 Oliblanc M-2 is a colourless, odourless, tasteless, transparent, white oil free of both linear and branched, cyclic and polycyclic (polynuclear) unsaturated hydrocarbons. Oliblanc M-5 is a colourless, odourless, tasteless, transparent, white oil free of both linear and branched, cyclic and polycyclic (polynuclear) unsaturated hydrocarbons.